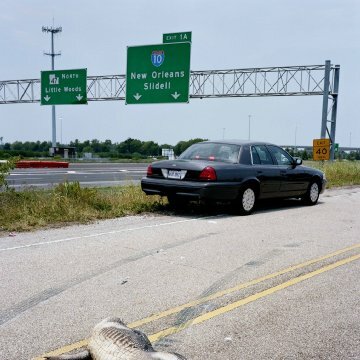 After Katrina, police sergeant Terence McDonagh rescues a prisoner, hurts his back in the process and earns a promotion to lieutenant plus an addiction to cocaine and painkillers. Six months later, a family is murdered over drugs; Terence runs the investigation. His drug-using prostitute girlfriend, his alcoholic father's dog, run-ins with two old women and a well-connected john, gambling losses, a nervous young witness, and thefts of police property put Terence's job and then his life in danger. He starts seeing things. He wants a big score to get out from under mounting debts, so he joins forces with drug dealers. The murders remain unsolved. 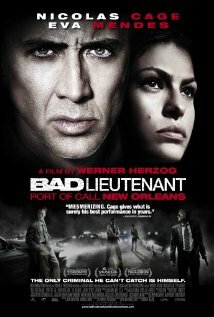 A bad lieutenant gets worse. Taglines: The only criminal he can't catch is himself. Director Cameo: [Werner Herzog] The voice of the client leaving a message on Frankie's answering machine. Continuity: When Lt. Terrence is blackmailing football player Renaldo after buying marijuana, Terrence dangles his handcuffs from his finger with the bottom cuff unshackled. Moments later, when the shot returns to Terrence, the bottom cuff is shackled. Terence McDonagh: You don't have a lucky crack pipe? The Nicolas Cage we loved is BACK!!!!!!!!!!!!!!!!! I just watched this at London Film Festival & went in expecting to hate it as I loved the original. But I have to say, the film is excellent, certainly Cage's best film & best performance since Leaving Las Vegas. Herzog has done a brilliant job & the film stands on it's own, apart from the Ferrara film. I won't spoil bits by mentioning them, but the film has several stand-out memorable scenes worth the price of admission alone. 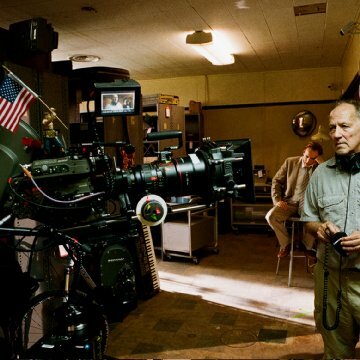 Herzog has always said that training for making films is 'life' not a stuffy film studies class etc. If you're familiar with his work or sensibilities, you'll get even more insight into how cool this guy is after watching this film. I look fwd to watching it again when it releases and getting the DVD! !